This is the 7th year of publication of the International Journal for Crime Justice and Social Democracy, which is committed to democratising knowledge through free to publish and free to download Open Access. This year we welcome Associate Professor Matthew Ball as our new Assistant Editor and Dr Michael Chataway as our new Book Review Editor. We look forward to working with you again this year. Avi Brisman, Bill McClanahan, Nigel South and Reece Walters (2018) Water, Crime and Security in the Twenty-First Century. London: Palgrave Macmillan. 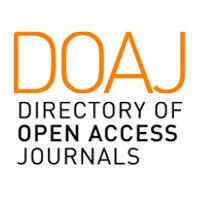 The Journal invites 6-8000 word original submissions. Authors are asked to register, read the guidelines, and agree to the ethics statement before submission. Turn around time for peer review is usually 4-6 weeks. In 2015, the Journal met Scopus evaluation as a high quality international journal. In 2017 Scopus rated the journal the top of all law journals published in Australia.